BP has stabilized oil production at Alaska's top field after years of decline, a feat the company's top Alaska executive described as "amazing" and tied to increased efficiency, better reservoir knowledge, and more active wells. There is more room for improvement, said Janet Weiss, president of BP Alaska, on Friday. 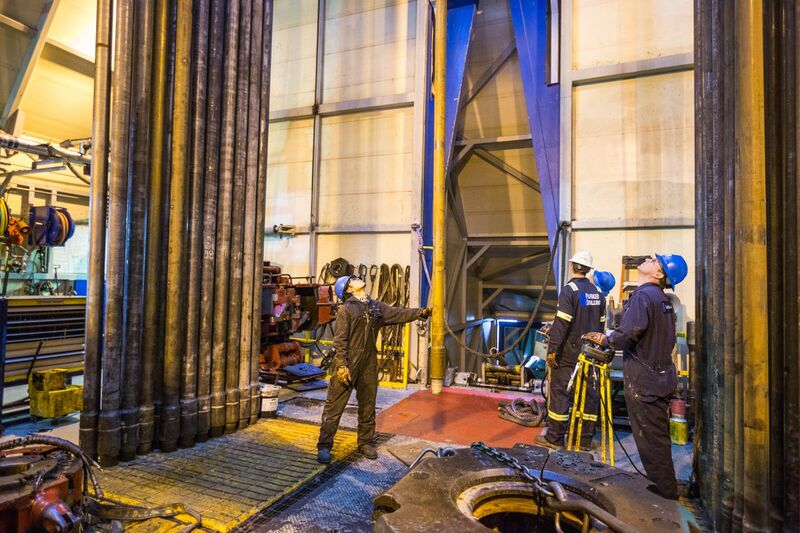 In recent years, the Prudhoe operator completed a critical seismic study in a northern corner of the field. It's now working with other field owners, ExxonMobil and ConocoPhillips, to win support for a bigger seismic survey to help inform future decisions, she said. In the last three years, Prudhoe's production rates have plateaued at 280,000 barrels daily, said Weiss. They were initially expected to fall to 266,000 in 2017. "By holding things flat, it's like finding a new field (every year)," she said. Prudhoe Bay, the largest oil discovery in North America, provides about half of Alaska's production. It has yielded more than 12 billion barrels since 1977, well beyond original estimates. But the flow of oil has steadily declined after the field gave up a record high 1.6 million barrels daily in 1987. Over the last several years, rates often declined 4 to 5 percent annually, and dropped as much as 9 percent one year, according to Alaska Oil and Gas Conservation Commission data. Early last year, Weiss promised BP Alaska teams she'd shave her head if they kept production even. They rallied, finding ways to increase efficiency in the field, she said, speaking to an industry forum in downtown Anchorage. The hair-chopping was set for Saturday, she said. Weiss said she'd donate her black locks to cancer survivors who lost hair following chemotherapy. Weiss said BP reduced operating expenses from the year before, yet managed to crank out more oil. BP crews came up with inexpensive ways to increase the number of active wells that boost production, without using a costly drilling rig. The teams launched hundreds of well-improvement projects, such as lowering data-transmitting lines into wells to improve knowledge of a formation's rock properties. BP increased the active well count to 750, up 100 from 2015. Mark Myers, a former Alaska Department of Natural Resources commissioner, said the flattening is "very good news." He said well workovers at old wells can allow operators to target new sections, pursuing zones with a richer oil stream and less water. "I think they are doing a good job," said Myers, also former director of the U.S. Geological Survey under George W. Bush. 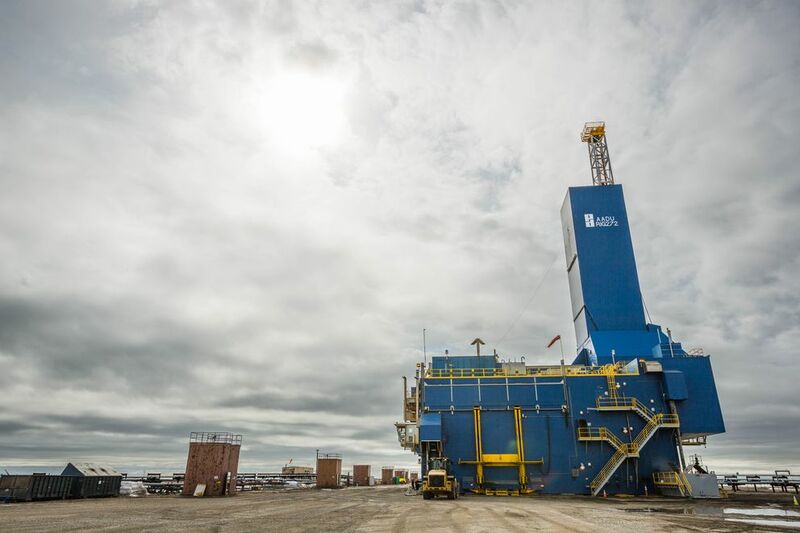 To keep production rates stable well into the future, drilling at Prudhoe Bay must eventually increase, perhaps targeting harder-to-flow viscous oil, he said. Weiss said BP plants increased efficiency in part by using a computer that produces a "cyber twin" of a real facility, allowing better planning for inspections and other work. BP has revamped subsurface computers, another way to improve knowledge of underground formations, she said. BP has been able to better home in on challenging targets. BP said in 2016 it was idling three of five drilling rigs at Prudhoe Bay, to reduce cost amid low oil prices. Officials said it would focus on the well workovers. Also important in 2017, Weiss said, was the seismic study in northern Prudhoe. The data was processed with the latest computer technology, providing new details of below-ground rocks. It was a great improvement over the last study about 15 years ago. "You might view it like black-and-white TV versus HDMI" with its crisp digital images, she said. That helped boost oil moving through the Lisburne production facility, to 40,000 barrels daily last year, up from 24,000 in 2016. Operating improvements at the Flow 2 production facility also boosted production to 30,000 barrels daily, up from 20,000. BP is planning to produce another 1.5 billion barrels from Prudhoe over the coming decades, Weiss said. The flattening at Prudhoe has contributed to another unusual production trend, this one across the entire North Slope oil fields. Operators for two years have boosted oil flow with new projects and improved operations, to 527,000 barrels in 2017, following a long decline. The state expects a slight increase again this fiscal year that ends in June. Weiss credited the state's production tax system, overhauled in 2013, for supporting new development even in the low-oil price environment that began in 2014.